Environmentally-benign flame retardant cotton fabrics with hydrophobicity were fabricated using the bio-based flame retardant of phytic acid and n-Dodecyltrimethoxysilane successively, and then morphological structures, combustion behavior, thermal stability as well as hydrophobicity of cotton fabrics were investigated carefully. It is found that the prepared cotton fabric shows excellent flame retardant property during the combustion and can be extinguished immediately after ignition source is removed. The limited oxygen index of 27.4% can be reached, showing an improvement of 47.3% compared with that of virginal one. Furthermore, the cotton fabric ameliorates the color change problem. The contact angle of the cotton fabric is increased significantly up to 144.41°, and shows the excellent hydrophobicity to water, tea, milk, juice, coffee and cola. 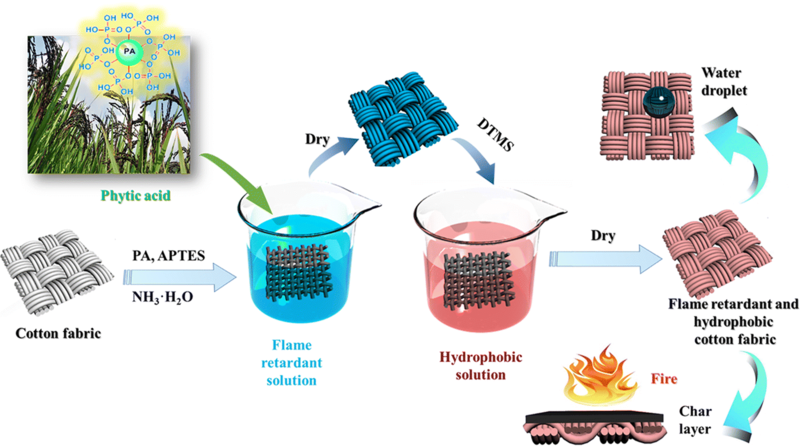 This study provided a facile approach to prepare environmentally-benign cotton fabrics with significant improved flame retardancy and excellent self-cleaning to various liquids. 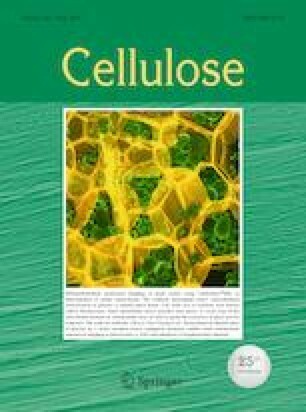 The online version of this article ( https://doi.org/10.1007/s10570-019-02431-y) contains supplementary material, which is available to authorized users. The authors gratefully acknowledge Anhui Provincial Natural Science Foundation (1908085J20), the National Natural Science Foundation of China (Nos. 51775001 and 51474009) and Leading Talents Project in Colleges and Universities of Anhui Province.